The 8" truck tablet features award-winning truck-specific navigation, on-board dash camera, pre-loaded trucking apps, and more. Along your route, you may be looking for a place to stop. Or just trying to stay ahead of the weather. 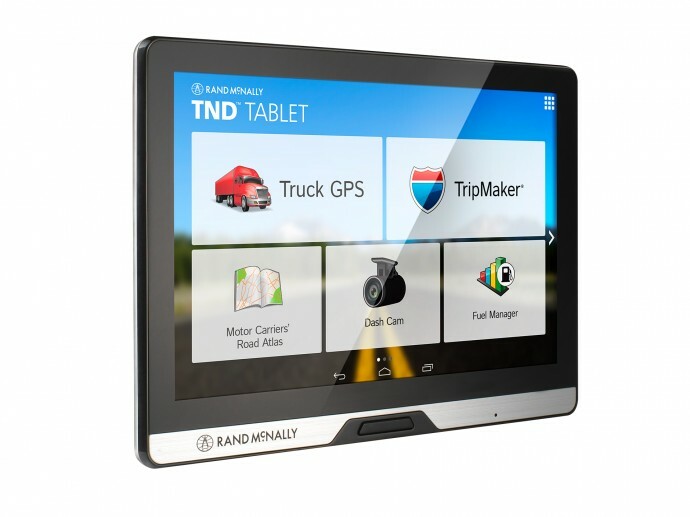 Whatever comes up, the TND Tablet 80 has you covered, with Rand McNally's truck routing, Lifetime Maps, and features to get you on your way. Only part of the job is behind the wheel. Driving professionally also means managing a business. That's why we've partnered with some of the leading apps in the industry to help you manage your day-to-day work. 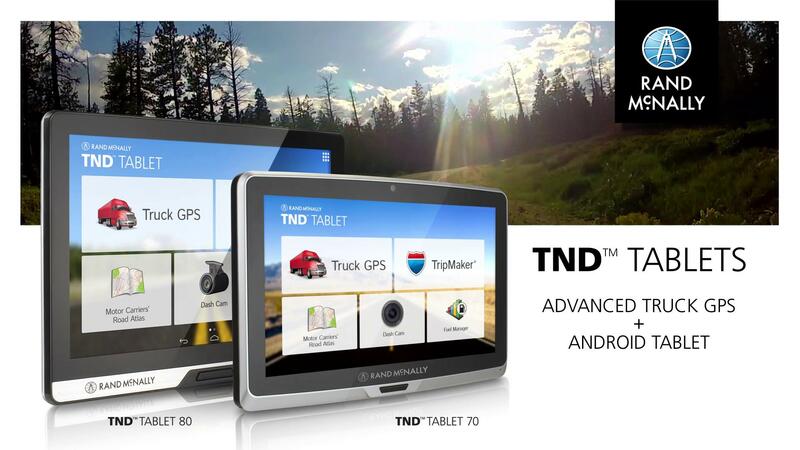 The TND Tablet 80 also includes all the driver-requested features of our latest TND. Off the clock, when it's time for a break, just take the TND Tablet 80 from the magnetic mount and kick back. With so many possibilities on one device, what will you do first?